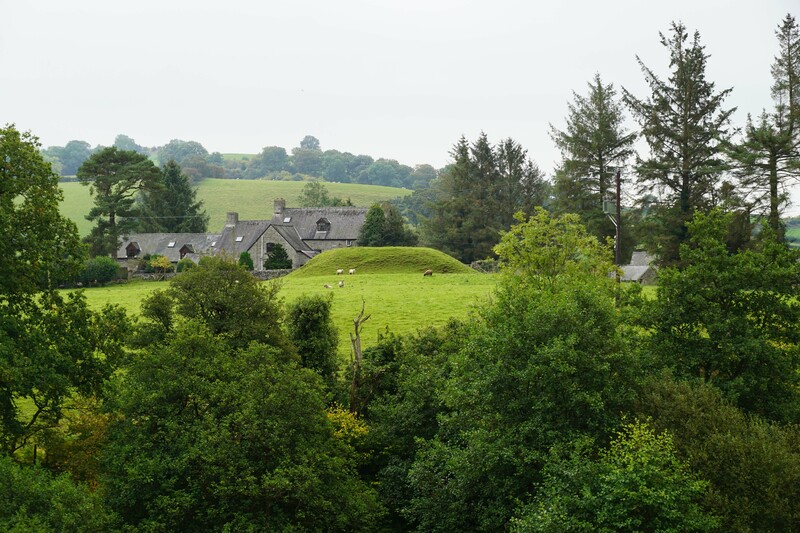 Alexanderstone Castle was an earth and timber motte-and-bailey fortification raised in the late eleventh century as part of the Norman conquest of Brycheiniog. Little is known about the history of the site although in the mid-twelfth century it was serving as the caput of the Mora family. 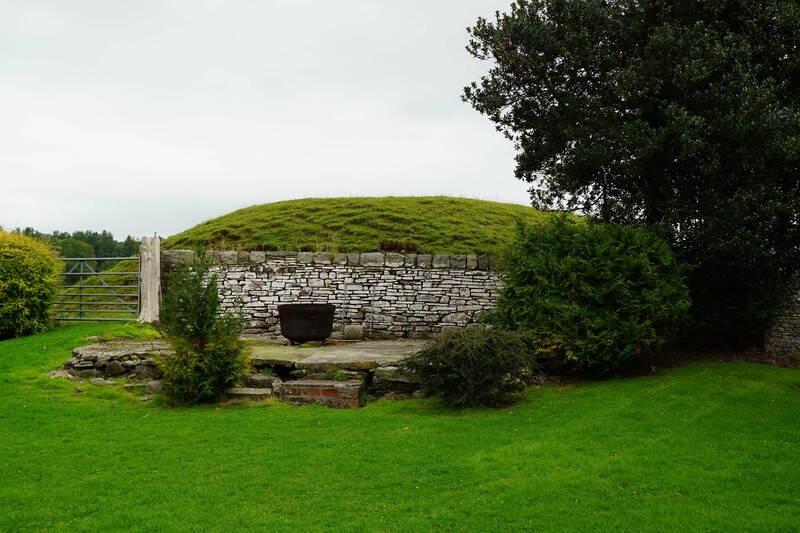 A second motte, Troed Yr Harn Castle, was constructed nearby in the 1270s. In the late 1080s, William II granted Bernard de Neufmarche, a minor Norman lord from Rouen, extensive lands in Herefordshire. These estates, which were located in the lawless border region, gave him the status of a 'Marcher Lord'. This afforded him quasi-Regal authority over his lands and the right to conquer territory to the west. In the subsequent years he invaded the Welsh Kingdom of Brycheiniog which was eventually carved up into the Lordship of Brecon. Around 1093 he constructed Brecon Castle to serve as the caput of his Lordship and it is likely the first fortification at Alexanderstone was raised at this time, either by Bernard himself or one of his retainers. Alexanderstone is located on an overland route that runs north-east from Brecon, through the Dulas valley and then onto the River Wye and Hay-on-the-Wye. Alexanderstone Castle was an essential component in ensuring dominance of this important line of communication and it would also have served as an outlying defence for Brecon. The fortification was an earth and timber motte-and-bailey structure. The oval shaped motte would have been topped with a timber palisade and tower. A ditch at least partially surrounded the base of the mound. A semi-circular bailey extended to the north-west and a further bailey may have been located to the east under the modern farmhouse. Together these enclosures would have hosted the ancillary buildings and served as a livestock enclosure. Little is known about the history of Alexanderstone Castle but in 1148 a charter by David, Bishop of St David's was witnessed by Alexander Mora, who is believed to have been the Lord of Alexanderstone at this time. By the end of the twelfth century the castle may have been called Mara Mota and this suggests a link with the contemporary Walter Mara, Lord of Little Hereford. 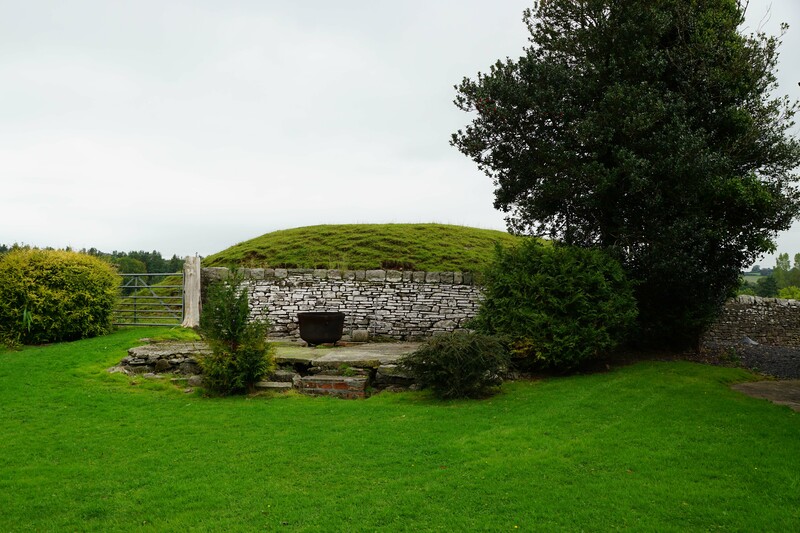 It is not clear when Alexanderstone Castle went out of use but it had probably been abandoned by the late thirteenth century when a second motte - known as Troed Yr Harn Castle - was built approximately one mile to the south. This was probably raised by Humphrey de Bohun, Earl of Hereford who was attempting to re-conquer Brycheiniog after it had been ceded to Llywelyn ap Gruffudd. There is no evidence of any bailey and therefore it is likely this structure served as a watchtower, presumably to monitor movement to/from Brecon. This fortification would have had a short lifespan and was soon abandoned. Despite the loss of its castles, the manor of Alexanderstone continued and was still prospering when it was it mentioned in a document dated 1422. Higham, R and Barker, P (1992). Timber Castles. Batsford. Morgan, G (2008). Castles in Wales: A Handbook. Talybont. Pettifer, A (2000). Welsh Castles: A Guide by Counties. Boydell Press, Woodbridge. Remfry, P (1999). The Castles of Breconshire. Logaston, Almeley. Salter, M (2001). The Castles of Mid Wales. Malvern. Alexanderstone Castle was a late eleventh century motte-and-bailey fortification. The mound survives as a small but impressive earthwork which, although on privately owned land, can be viewed from public rights of way. The second motte is heavily wooded but can be seen from the public road. Alexanderstone Castle. The castle was built on a shoulder of high ground overlooking the Brynych brook. The motte survives as a substantial earthwork but only slight traces of the bailey remain. Alexanderstone Castle is found off an unnamed road off the A470. On-road parking is possible. Troed Yr Harn Castle is located on an unnamed road accessed from the B4602.